A data structure is bit like a variable. A variable contains one element but a data structure but can contain many elements. In the example below, the data structure being used is called a list and the name of the list is "UK". 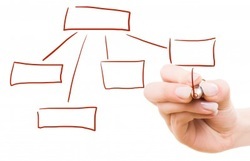 Programmers use data structures to store large amount if data in an ordered way. Try the code in a code editor and see what it does. Here we have two lists. In the last two lines we are displaying an element from each list via their index number in the list. It is important to remember that the first index number (the first position) in a list is always zero. NOTE that a list uses square brackets. Test the code in a code editor to see what happens. A tuple works the same way as a list but unlike a list, you can NOT change the values inside a tuple. This is useful for information that will never need to be changed e.g. a tuple containing the days of the week, months of the year or longitude and latitude information. 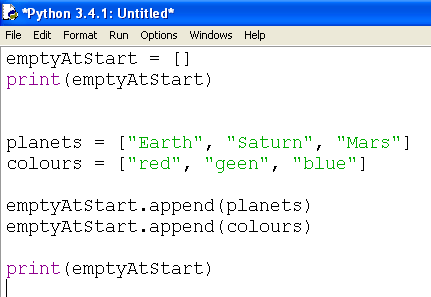 NOTE that a list uses round brackets. Test the code in a code editor to see what happens. A 2D array is some lists within a list. 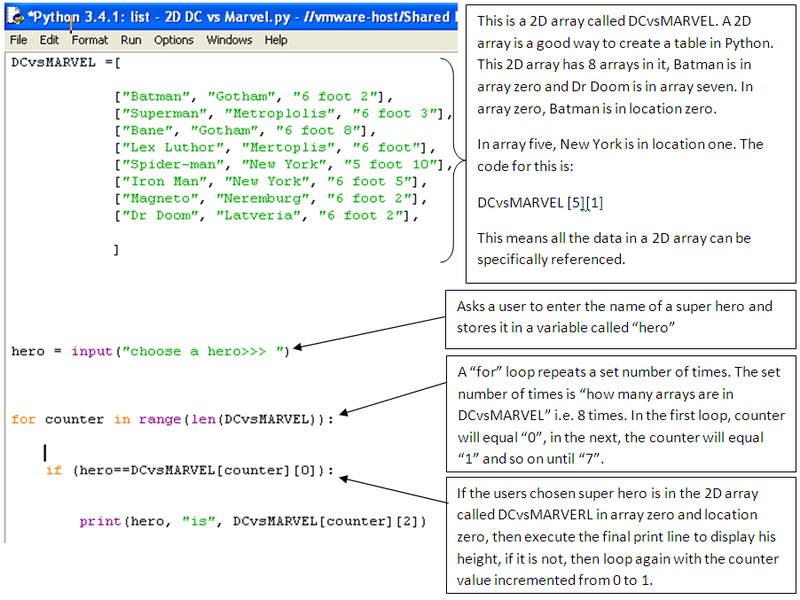 Typically, the data stored in a 2D array can be viewed as having similar data in columns or rows. In this example, there are three lists in a list called "People". 2D arrays are a way of holding information in a grid. What do you think this code does? Change any of the number values and see what it does e.g. change the 0 to a 2. Change the myArray =1 to myArray =2. Who is the second fastest sprinter in the world as of 2016? 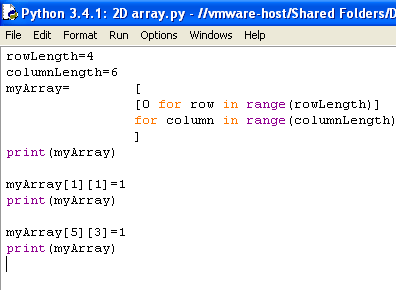 This program will tell you using a 2D array and a user defined function. The array will be printed twice, will each print look different?